29 sur 31 personne(s) ont trouvé cet avis utile. 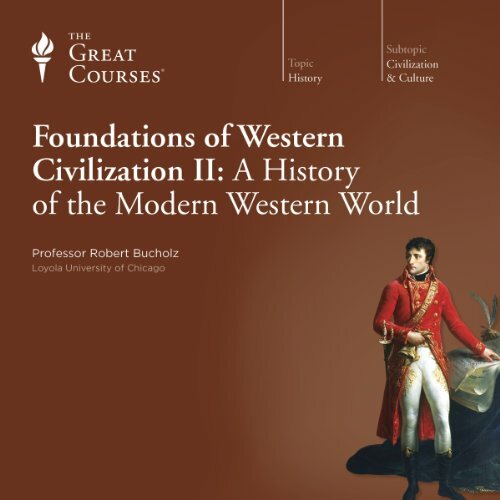 I really loved the first part of the "Foundations of Western Civilization" course. It was a well-rounded approach to the history of western civilizations, and very enjoyable to listen to. The same is true of this audio book. However, be aware that this book is presented by an American for other Americans. As someone from Germany, I am a little sad that there is so much more focus on Britain and France than on (what would become) Germany. I can understand this and will not give less stars because of it. However, I think it is something you might want to know before buying this audio book.